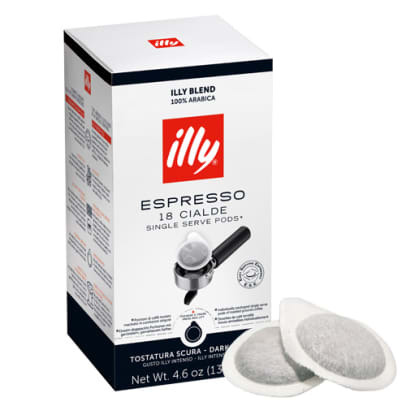 Illy Dark Espresso ESE pods for espresso machines from illy. 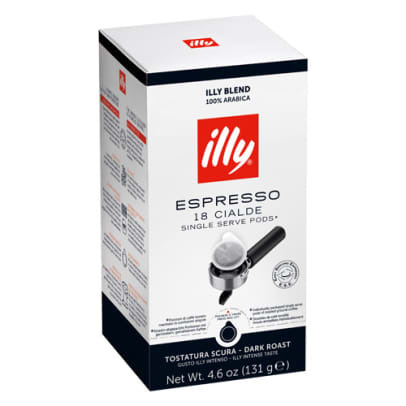 Illy Dark Espresso is an exclusive espresso mixture. Toasting is dark, which provides a strong espresso with a distinctive flavour and delicious crema. The taste is a nice mix of sweetness and acidity. It contains flavours like fruits and flowers mixed with chocolate, caramel and honey. The dark roasting, make this version a little more bitter than that between roasted espresso from the illy. 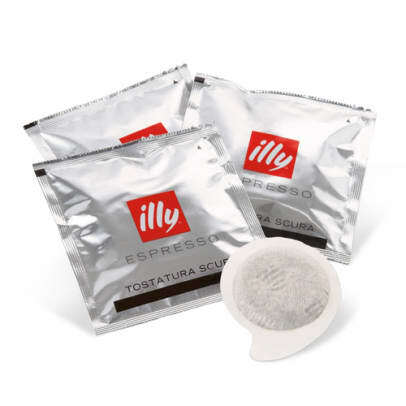 Contains 100% Arabica beans from the world's most recognized coffee brands, illy - here is talking about espresso coffee of the highest quality! Bitter og dog blød med god fylde. 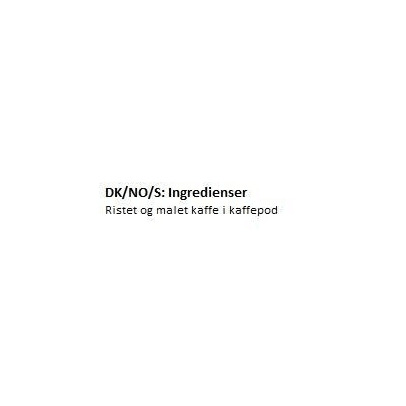 Fantastiskt gott för den som gillar lite starkare kaffe!